Dame Helen Alexander, CBE, has been installed as the 7th Chancellor of the University of Southampton during a formal ceremony. 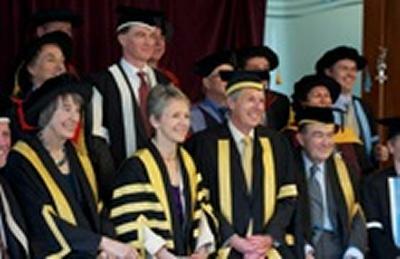 Dame Helen succeeded Sir John Parker as Chancellor of the University of Southampton, when Sir John reached the end of his term in office on 31 July 2011. She is the University’s first female Chancellor. Dame Helen is known for her wide and varied experience in international business. She recently completed a term as President of the CBI and is currently chair of the Port of London Authority and Incisive Media. A senior adviser to Bain Capital, she is a Trustee of the WWW (World Wide Web) Foundation, and chair of the Business Advisory Council of the Said Business School, Oxford University. She holds non-executive positions at Centrica and Rolls-Royce Group and was previously a trustee of the Tate Gallery and held non-executive positions with Northern Foods and BT. She comes to the end of her term as President of the CBI in June.